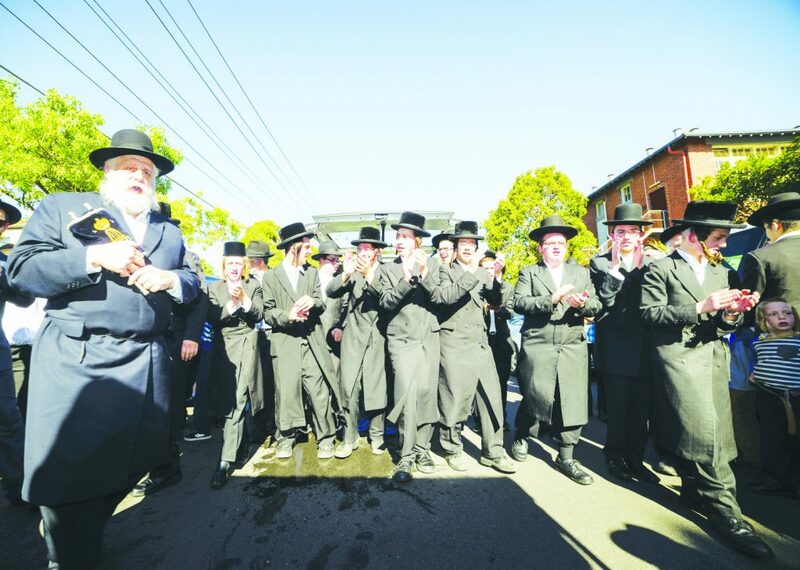 The entire community in Melbourne, Australia, is still reeling from the shock and confusion it was thrown into last Friday, 26 Shevat, upon hearing about the sudden and tragic passing of one of its most prominent figures, Reb Esriel Lederberger, z”l. Esri, as he was fondly known, was born in 1950 to Reb Avrohom Shlomo and Mrs. Yocheved Beila (Nuni) in Melbourne, where the frum community at that time, just a few years after the Holocaust, was nothing like the ir v’eim b’Yisrael that it is today. Esri was among the first children in the newly established Adass Yisrael Cheider. After marrying, tbl”c, the daughter of Reb Tzvi Yoskowitz of Tel Aviv, a respected Gerrer Chassid and talmid chacham, Esri, under his father’s guidance, established his Yiddishe shtieb in Melbourne. Even at that time, when the frum community was growing in leaps and bounds, chalav Yisrael milk was available only in small quantities and used by only a small sector of the community. There were virtually no commercially available chalav Yisrael cheese or yogurt products. Esri took it upon himself to fill the breach and established Tempo, a dairy plant that produced only chalav Yisrael products. At the time it wasn’t easy to keep a business of this type viable, but Esri persisted against all odds, never taking shortcuts and insisting on the most stringent chumros, regardless of how it would affect his profits. Baruch Hashem, his persistence paid off, and today Tempo is well-known by virtually the entire Jewish community and beyond. His kibbud eim was exemplary, and his elderly widowed mother, a”h, lived in his house for many years. The thought of any alternative never even entered his mind. His mother was respected and cared for both by Esri and his wife with utter kavod and care for the smallest detail. Even during the period when Esri experienced financial difficulty he would not compromise on his mother’s respect and health. And it was not just his mother. For years he had widows as permanent guests at his Shabbos table; they were like part of the family. Speaking with some of the children this week I noted how they felt like they had so many mothers at the Shabbos tisch, with each lady feeling like she was part of the family. His house was always open for hachnasas orchim. Even this week he was scheduled to host a family from overseas visiting for a simchah. Visiting meshulachim and talmidei chachamim all felt comfortable in the Lederberger home. Esri was renowned for not taking a step without first asking or taking advice from Rabbanim. It was his ABC: We don’t move without a brachah. On many occasions I would argue with him: “Esri, it’s only a small matter. You don’t need to ask.” But he wouldn’t hear of it. 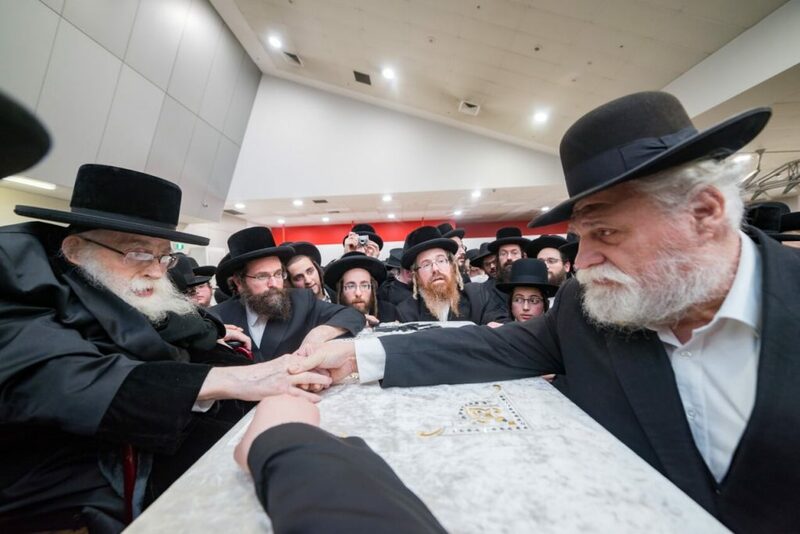 Reb Esri bids farewell to Harav Beck, zt”l, ahead of his final trip to Eretz Yisrael. 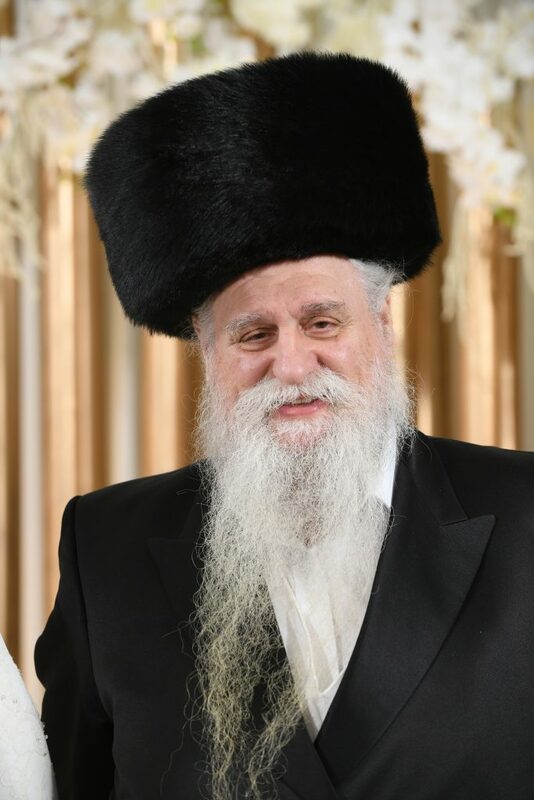 He was connected with his entire soul to the Gerrer Rebbes, zt”l, and, ybl”c, to the current Rebbe, shlita. Close to nine years ago he had the zechus of hosting Harav Daniel Alter, the son of the Pnei Menachem of Ger, zt”l, whom he invited to attend his daughter’s wedding, and the excitement on Esri’s face every time he recalled the visit was clearly evident even years later. He was also very close to the Rebbes of Pshevorsk, hosting the current Rebbe, Reb Leibish, shlita, in his home, and he would never stop asking for eitzos and brachos. Just two weeks ago, on Tu BiShvat, the Pshevorsker Rebbe especially sent fruits for Esri, and Esri was so excited at being remembered. Here in Melbourne Esri considered himself a Chassid of Harav Avraham Tzvi Beck, zt”l, and Rav Beck reciprocated by showering Esri with warmth and friendship. Esri also insisted on sponsoring the publication of the Rav’s sefarim after his passing. On a personal note, I will forever be grateful to Esri for looking out for my well-being and the well-being of my family. He would invite us for Shabbos whenever my wife or I were away. “Invite” is perhaps not quite the right word. Esri would say to me as early as Sunday, “You’re mine this Shabbos!” – and there was no arguing with that. He truly enjoyed making others happy. I once heard the Pnei Menachem, zt”l, say in a hesped that mourners tear the clothing opposite the heart, and that a person with a big heart deserves a greater tear. Esri’s heart was larger than life; he loved seeing people happy and successful, he loved bringing the best meat to a seudas mitzvah, and he loved supplying the best whiskey and the nicest fruit. There was nothing he enjoyed more than being mesame’ach people and Hashem. I can’t stop thinking about all the things he quietly did in the shtiebel, without any publicity. He installed new air-conditioning, he built a new, much larger sukkah, he baked matzos on Erev Pesach, and he was instrumental in installing the shtiebel’s new kitchen. His help was not just financial; he was there to construct and assist in every detail. He was also the baal toke’a, the baal Ne’ilah and the baal korei on Yamim Tovim. Even when his health was not the best he would always help out by going to the amud when others didn’t want to. Reb Esri dancing with the sefer Torah he dedicated to the memory of his father, z”l, at a hachnasas sefer Torah in Melbourne last year. Esri was also the one who spent hours during Chol Hamoed Sukkos searching for kosher aravos for the mispallelim of the shtiebel, not an easy task here in Australia where aravos are just starting to grow again after our southern winter. And the English Hamodia wouldn’t appear in Australia were it not for Esri who, with a few others, was the driving force behind its importation when it began publication so many years ago. He should be a meilitz yosher first and foremost for his chashuve wife, who always stood at his side in matters of chinuch, hachnasas orchim, tzedakah and every other aspect of his life. She was a driving force behind all his maasim tovim, and she encouraged and inspired him, always pushing him to do even more. He should also be a meilitz yosher for his children, grandchildren and great-grandchildren whom he loved so much and in whom he took great pride. And he should be a meilitz yosher for his friends who remain committed to the shtiebel he helped found. Esri! You will always be remembered for your kindness, and you will always be missed.